We were booked by the bride and groom for this wedding reception taking place in the Old Ignatian Club near Enfield. We were asked to provide a dance floor as well as an ivory starcloth backdrop. 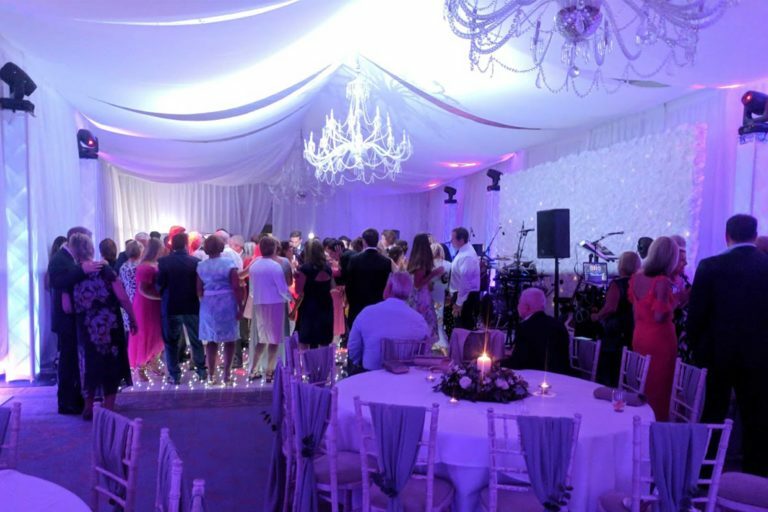 For the dance floor we installed a 22ft x 12ft black starlit dance floor, this was set to a slow twinkle and having seen how dirty it was when it was collected it was certainly well used by the dancers at the wedding reception. The ivory starcloth backdrop was meant to go up against one of the other walls in the venue but due to wall being too short we ended up positioning it next to the bar at the brides request, it probably wasn’t the best place for It but as the client had not measured the wall in advance there was nothing that we could do unfortunately. We would strongly recommend our venue draping service if we were booked at the venue in the future, this would allow you to cover the yellow walls in the venue with white pleated drape which could then be illuminated with our LED uplighters to be a colour of your choice. 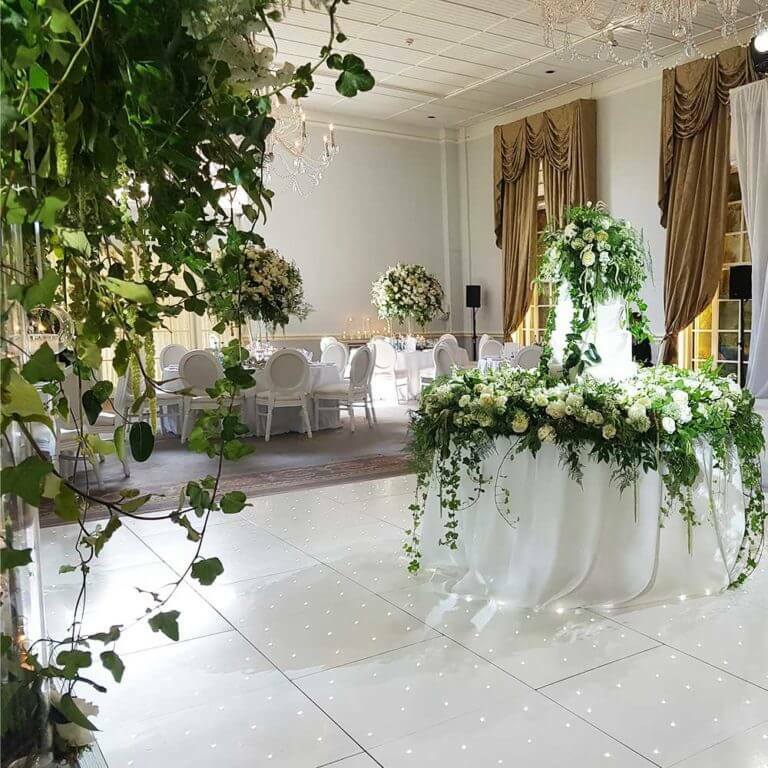 To find out more about booking any of our products or services for your wedding at the Old Ignatian Club in Enfield please don’t hesitate to pick up the phone and give us a call on 0116 2029953, or simply send us an email. We look forward to hearing from you.